Like all StopTech products, StopTech High Performance Brake Fluid is carefully designed to give drivers an edge in the punishing world of high performance motoring. For over a decade StopTech has engineered and delivered race- and championship-winning brake components and systems for high performance street driving as well as pure racing. 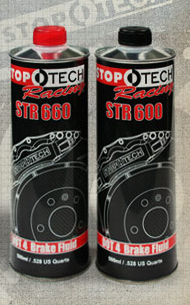 StopTech High Performance Brake Fluid adds a new dimension to the company's offerings.